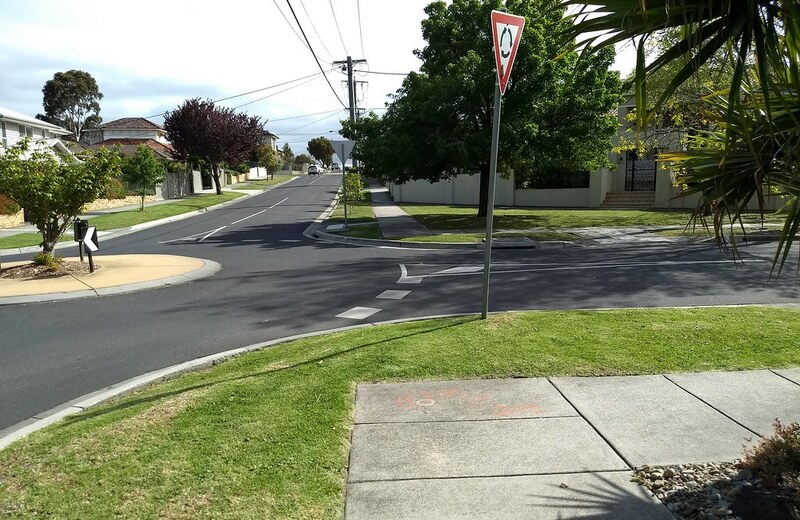 Desire lines: signs of bad design? 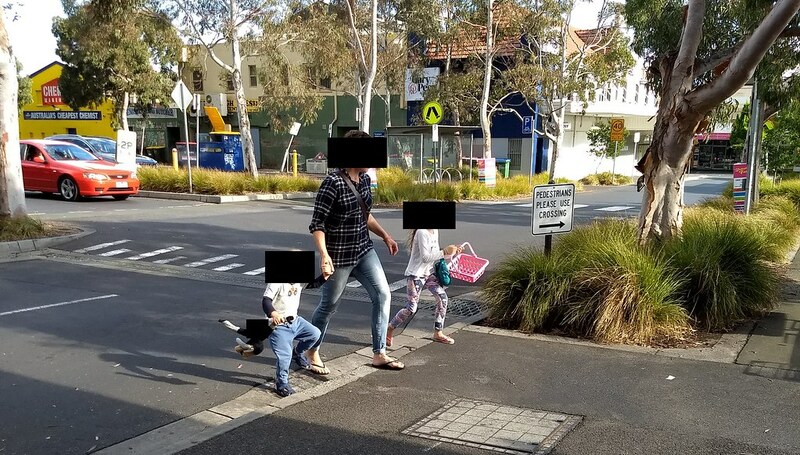 Desire lines are where authorities intend for people to go one way, but people (especially pedestrians) quite logically ignore them and go a different way. Often they indicate poor design. Here are some quick examples from my neck of the woods. You have to wonder whose bright idea this was. Try and divert the pedestrians away to a crossing. Why do it? The worn grass indicates not many people follow the recommended path. Similar story at this roundabout. It’s a less busy street for pedestrians so the grass looks more intact, but again, why? Puzzling since another roundabout 100 metres away doesn’t have this design. 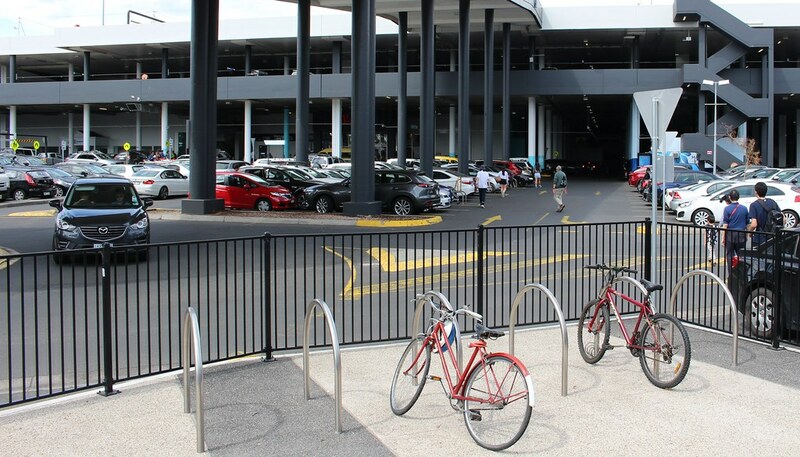 Down at Southland, the new station is a roaring success… except for the pathway to the shopping centre, which diverts people via an indirect route – though at least it’s got priority zebra crossings all the way – visible at the left. Still, an awful lot of people come out of the station and instead dodge around the fence and make straight across the car park for the entrance. Are we really that surprised? Hopefully sooner rather than later, Westfield will fix it. The centre of central Bentleigh: the station. This new pedestrian crossing is very welcome, as it connects the westbound bus stop with the trains. Amazingly, before the grade separation, there was no nearby crossing. With a little thought, they could have made this new crossing wider, stretching towards the bus stop, as when buses arrive, there’s a swarm of people crossing the road. And this, around the corner. Having a zebra crossing is good, but it’s clearly in the wrong place. It should be no surprise at all that most people cross at the point aligned with the supermarket entrance. Authorities must have realised this, or there wouldn’t be this signage. Often this type of thing appears to be just trying to make life difficult for pedestrians. I really hope whoever is responsible for these designs is observing how people use these spaces, and isn’t continuing to make these mistakes. One evening many years ago some PTUA bods and I were meeting with a Vicroads bloke about traffic light priority and other related issues. He had a laptop with him, and it displayed a diagram of a major intersection; I think it was somewhere out on Burwood Highway. While pondering topics such as tram priority, he talked us through how the traffic light sequences worked, and how the traffic flows, showing us on the laptop. And he showed us what would happen if the sequence was tweaked; part of the sequence runs for longer, causing some vehicles to pass through more quickly, some to be delayed a few seconds. Really interesting. So he’d been fiddling with the traffic lights in realtime, and local motorists were probably wondering why they were zipping through or being slightly delayed. That wasn’t just a laptop, that was a Magic Laptop. Anyway, via this and other discussions with people who seem to know what they’re talking about, I get the sense that Melbourne’s traffic lights are reasonably flexible in terms of their configuration, and can be controlled remotely. But there’s a limit. They can’t handle all scenarios automatically, so for instance when trials of absolute tram priority were done in Nicholson Street, it needed someone to manually control the lights to give a green for the tram. There are also apparently limited resources, so opportunities to re-program traffic lights don’t come up as often as they’d like. Everywhere in government (as well as in the corporate world), if you go digging, you’ll find there’s usually a reason for something. Sometimes it’s a reason which doesn’t quite make sense, or is outdated in the face of changing circumstances, but a reason nonetheless. A couple of weeks ago I noticed that the traffic lights at Spencer and Little Collins Streets had an extraordinarily short green man, only about 18 seconds. Then the red man would flash for about another 10 seconds, and then there’d be a solid red man for a full 40 seconds before the parallel traffic light turned yellow. This is utterly ridiculous in the central city, next to a major railway station, where pedestrians should be the priority. Setting it like this is just goading people to cross against the lights. 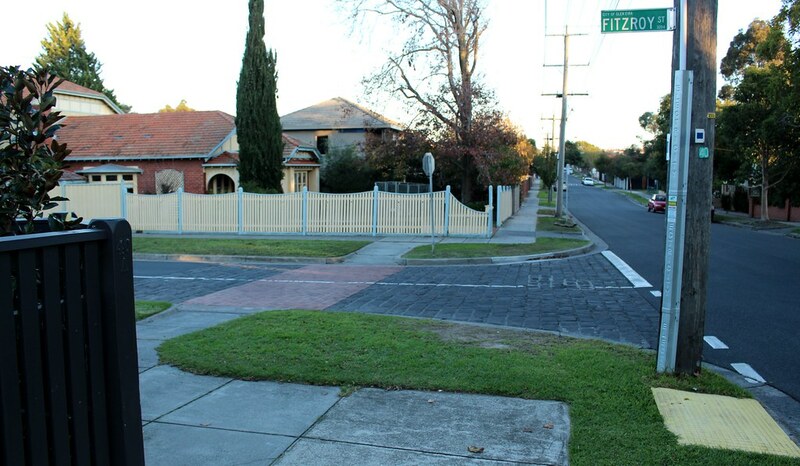 I made enquiries with City of Melbourne, and discovered it is a road managed by Vicroads. So I approached them about it, and eventually I got a response. Why was it like this? Because Spencer Street is closed for sewer works south of Collins, and they wanted to allow vehicles to detour into Little Collins easily. But — as shown by the video — there wasn’t much traffic coming down Spencer that actually needs to detour. Once they realised this, they set it back. Just like that. Someone probably clicked some buttons on a Magic Laptop, and it was done. A good outcome, with some delicious technical tidbits in the email trail which I won’t publish, other than to say yes, they really do use the reference numbers on traffic control boxes. 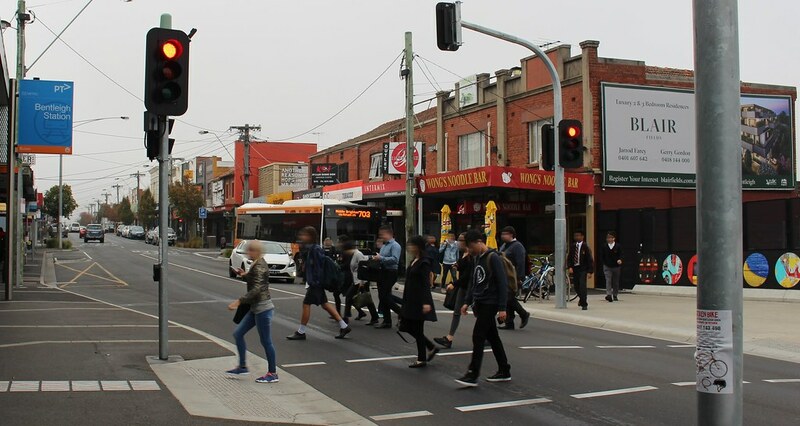 I’ve also had a discussion about that super-annoying crossing at Centre Road/Eskay Road in South Oakleigh. I haven’t seen it yet, but apparently it’s been tweaked too. But the bigger picture issue is that traffic lights (even in the CBD) are being programmed with poor outcomes for pedestrians. Sometimes as above there’s a reason — sometimes, apparently, it’s just an error. Much the same issue occurred at Elizabeth/Little Collins a couple of years ago. 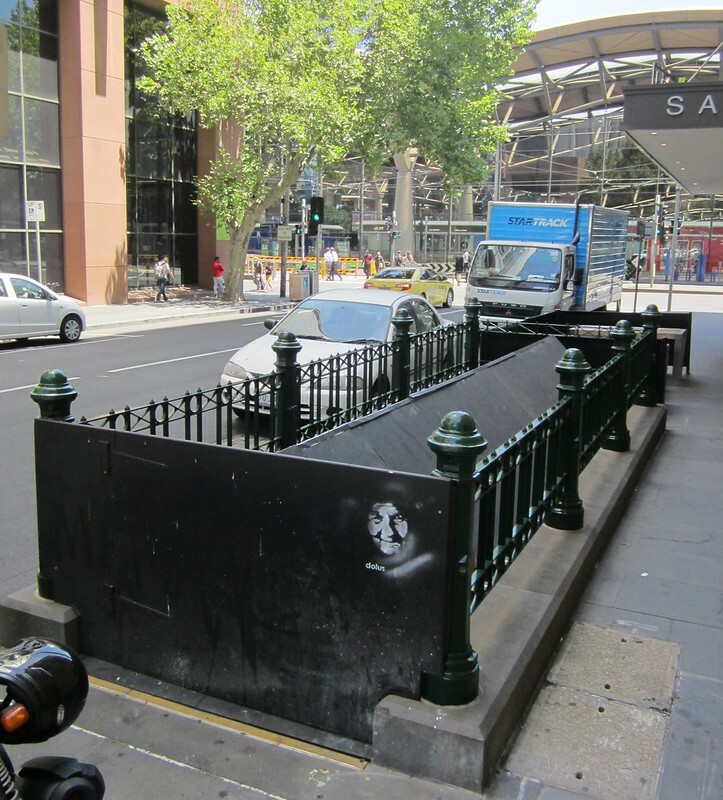 And more recently, City of Melbourne has put in brand new installations that failed to auto activate the green man, despite it being policy within the Hoddle Grid. These things do make a difference. It’s not just about compliance and safety. The travel mode you want to thrive is the one you should encourage. 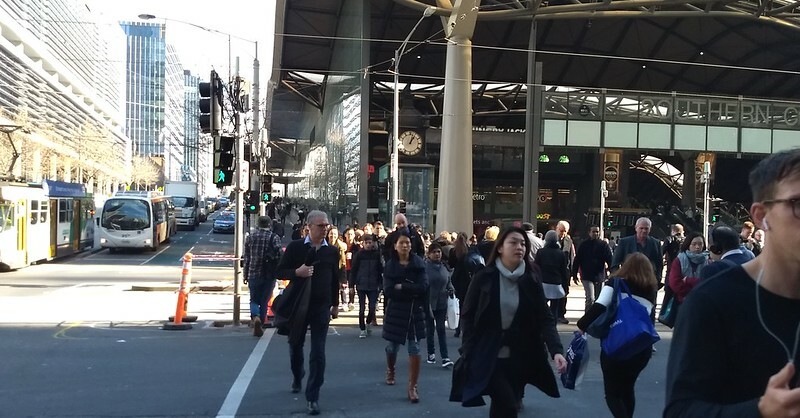 Make it easier for people to walk, and more people will walk. 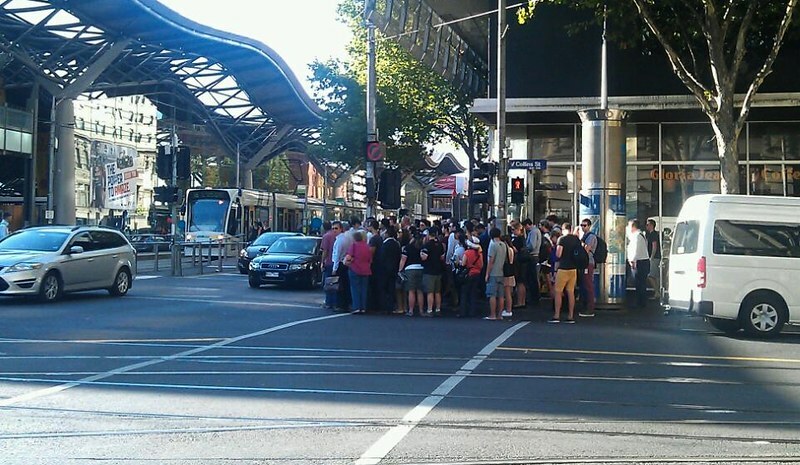 What I have learned is that Vicroads is now consulting on some of these issues with groups such as Victoria Walks. This is definitely progress. Individuals shouldn’t really have to get these things fixed. 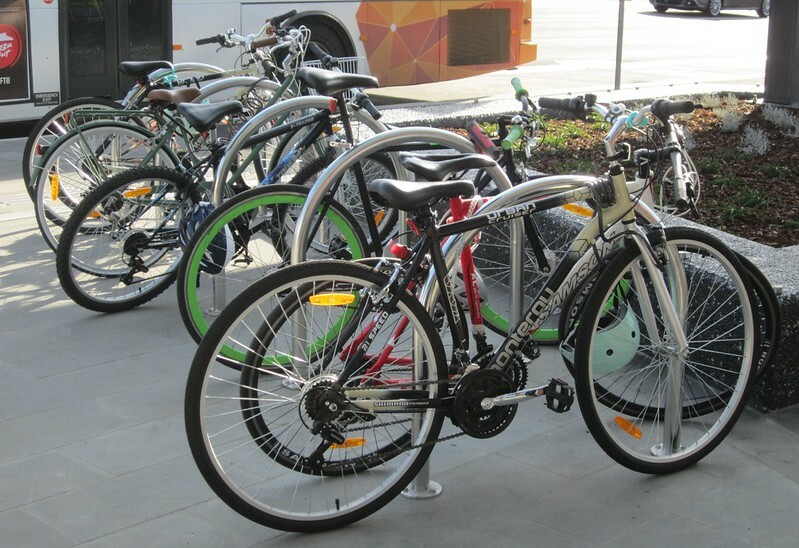 But in the real world, everybody (including Vicroads and City of Melbourne) is stretched for time, and clearly some things simply aren’t being spotted and fixed otherwise. Put in a report. Twitter may not be sufficient, so do it via their feedback web site. Include a photo if it’s at all useful. Be polite. Scrupulously polite. You won’t get anywhere by shouting. Explain your case. Present the evidence, the logic. Keep a copy of your query text, and the reference number, because some web sites (such as Vicroads) don’t email you a copy back, and it may be useful at the next step. If you get a pro forma reply which doesn’t make sense or doesn’t address the issue, query it. Be polite, but firm. And with a bit of luck, and if your point is convincing, you might just get it fixed. Of course, what I really want is a Magic Laptop. I wanted to reflect on something from our recent visit to Cardiff. Some of central Cardiff is pedestrianised, which is great. Many other areas have nice wide footpaths. It would be near-perfect for walking… if at most intersections the traffic lights weren’t designed to be so pedestrian hostile. It’s as if the traffic engineers either hate pedestrians, or have done everything they can to theoretically prevent car and pedestrian accidents. But in the process they’ve created an environment where people have to wait for so long to cross the street that jaywalking is widespread. What’s the only thing worse than waiting for a traffic light to cross the street? Waiting for two traffic lights to cross the street! 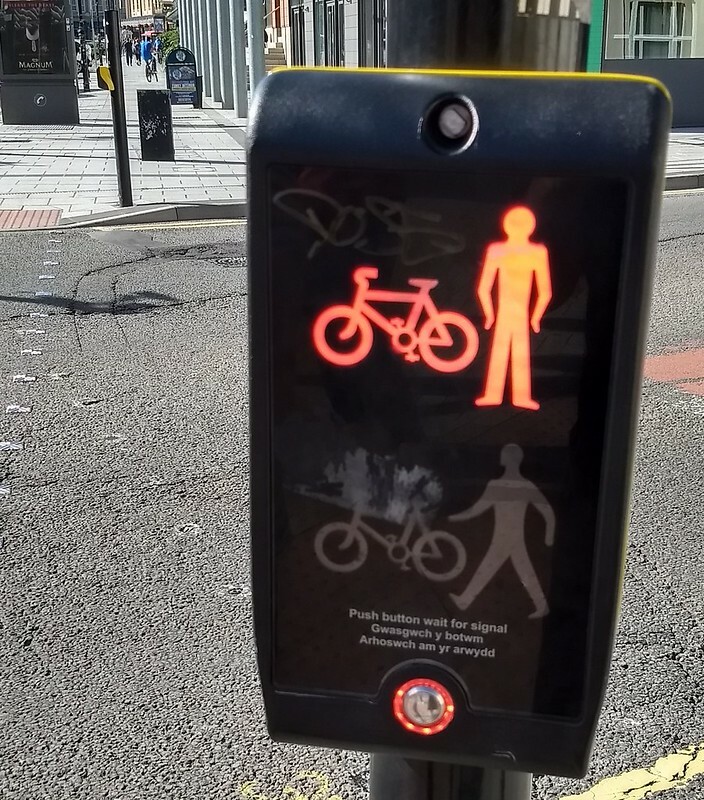 In Cardiff, many intersections have traffic islands, and the pedestrian crossings have all been designed to be staggered, with the lights programmed to give a green man at different times. When the crossings on each side of the central refuge are not in line they are two separate crossings. On reaching the central island, press the button again and wait for a steady green figure. 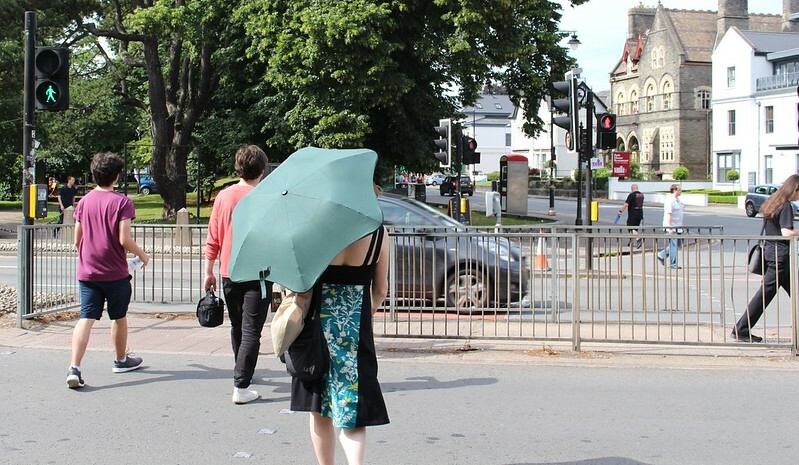 The proliferation of this design in Cardiff means that at most spots as you cross the street, provided you obey the green/red man, you have to wait twice, and the way these are implemented, the wait is often for an extended period of time — even when there’s no traffic coming. For instance at a three-way (T) junction, you might have a three part cycle with each road having equal green time. Then you fit the pedestrian cycles around it: on any one of the three roads, two-thirds of the time, people can cross in front of the stopped cars. Only when those cars get a green can you cross the rest of that road. So you’ll never make it across the entire road in one go. They’ve set up similar programming at many four way intersections. Yes, it theoretically cuts vehicle conflicts with other vehicles and pedestrians, and probably maximises vehicle throughput where there are a lot of turning vehicles. But should that be the top priority in a dense city centre? Pic from Google Streetview — On the main road from Cardiff city centre to Cardiff Bay. The pedestrian light nearest the camera is red; the other one is green. This setup is beyond irritating when you’re trying to walk around. Often there will be a long wait for two separate green men despite there being little or no traffic. It’s a very poor experience for pedestrians, and does nothing to encourage walking. Thankfully such a design is rare in Australia. The only time you’re unlikely to get all the way across a divided road is if you’re not a fast walker, and you’re at a very wide road, perhaps 4+ lanes each way plus a wide median. Apart from how they’re programmed, some of the traffic lights have their green man display not on the opposite side where it’s easily seen, but on a display next to the button. This is quite low down and can be difficult to view when other people are waiting. It’s also completely counter-intuitive to watch for a light that’s off to your side, rather than in the direction you’re wanting to go. Combined with many traffic lights not having audible prompts (near-universal in Australia), this leads to people not even noticing when the traffic light eventually allows them to go. Not all the crossings in Cardiff had this design. It’s not clear to me whether this is the new standard, or one of several standards, depending on context. We saw them elsewhere in Britain, though I don’t recall seeing any in London. In this kind of walking environment, it quickly became apparent that many of the locals jaywalk regularly – and I can’t say I blame them. It was positively painful walking around and obeying all the traffic lights. Widespread jaywalking means that the safety benefit (if indeed that was the motivation for these designs) is completely undermined. I saw similar issues elsewhere in the UK, but to nowhere near the degree they’ve done this in Cardiff. I don’t know the history of this, and whether there have been objections from the locals – I searched online a bit, didn’t find anything. It’s unlikely it would ever happen, but if I ever end up living and working in Cardiff, I think I’ve found my first advocacy campaign. Cardiff is a lovely city. But it treats its pedestrians with contempt. BBC article from 2013: Does pressing the pedestrian crossing button actually do anything?